New Japan Pro Wrestling is prepared to deliver yet another amazing card at their annual Dominion Show on June 9, 2018. The show will feature the best of the best that New Japan has to offer. Matches should be high quality and heart stopping action is sure to be on display. The show is not lacking in star power as fans will get to see all of the top draws in the company along with a few special attractions. Kazuchika Okada, Tetsuya Naito, EVIL, Sanada, Hiromu Takahashi, Will Osprey, Kenny Omega, the Young Bucks, Hiroshi Tanahashi, and Minoru Suzuki should all be on hand. The announcement that both Rey Mysterio and Chris Jericho will be on the card only further cements the event as a must see show. Right now the card features several marquee matches that are sure to showcase all of the talent that has become synonymous with New japan Pro Wrestling. The main event will see the current, reigning, defending, IWGP Champion Kazuchika Okada will defend his championship against Kenny Omega in a 2 out of 3 Falls No Time Limit match. Chris Jericho will return as a 9 time former WWE Intercontinental Champion and look to relieve Tetsuya Naito of the New Japan version. The Young Bucks will make their move to the heavyweight tag team division by challenging the IWGP Tag Team Champions Los Ingobernables de Japon, EVIL and Sanada. A Triple Threat Match for the IWGP Never Openweight Championship will take place between the defending champion Hirooki Goto and challengers Taichi and Michael Elgin. 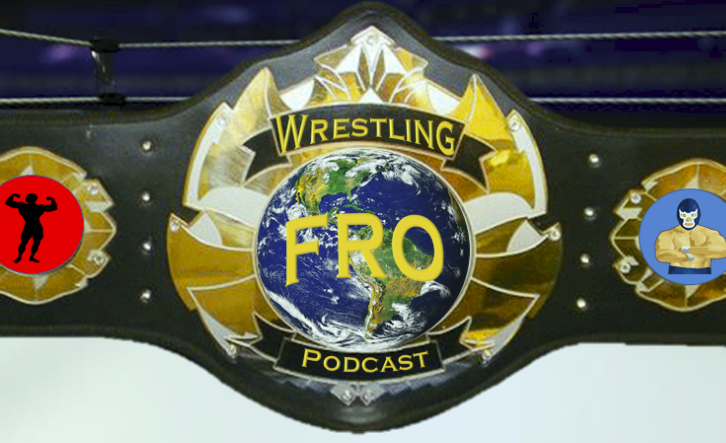 That and there will be a Junior Heavyweight Match between Rey Mysterio and a challenger yet to be named but expected to be either Will Osprey, Jushin “Thunder” Liger, or Marty Skurll. Many more matches are expected to be announced as New Japan makes it a point to showcase as many of their talents as possible at every show. Expect to see the Guerrillas of Destiny, the Killer Elite Squad, and Ropongi 3K along with many other stars. Overall, the card appears to be stacked and one that should rival anything WWE has put out there in years. The production value may be slightly less but the in ring performances will be outstanding. The story lines that New Japan has cultivated have been inspiring. With such a stacked card and the many options for winner and losers, the match that seems to be getting the most attention is the IWGP Intercontinental Championship match. After Chris Jericho appeared and had the match with Kenny Omega at Wrestle Kingdom 12, many felt like there was so much more that could have been done between the two men. The news that it was a one time appearance was somewhat of a let down even though the match was amazing. The next night at New Year’s Dash, the wrestling world was shocked when Jericho returned to attack Naito. The obvious question was, when will these two meet in the ring? Lingering thoughts that a return match between Jericho and Omega remain but when Jericho announced on Twitter that he was finished with New Japan and he made appearances with WWE at both the Royal Rumble and the Greatest Royal Rumble, the opportunity to face Naito seemed remote at best. When Jericho attacked Naito once again at New Japan’s Dontaku Event, it quickly became clear that the feud between Jericho and Naito was far from over. This led to the signing of the IWGP Intercontinental Championship Match on June 9th. The Conundrum remains though, how do you book this match with so many possibilities coming out of the show and the events on the horizon that would benefit from the action at Dominion? The obvious and easy answer is to have Tetsuya Naito vanquish Chris Jericho thereby preserving the reputation of one of new Japan’s biggest stars. One could argue that Jericho losing yet another match limits his future upside though. Do you have the match end in a schmohz ending? It could leave the door open to another match between the two. Do you have Jericho win the championship? If you go that route, you know that Jericho will be back to defend the title but it also prevents him from future WWE projects as the reigning IWGP Intercontinental Champion. Chris Jericho defeats Tetsuya Naito for the IWGP Intercontinental Championship - This solidifies Jericho at the top of the New Japan card and makes him a legitimate contender against anyone in the company. Kenny Omega defeats Kazuchika Okada for the IWGP World Championship - This is a match we all want to see. The two men have amazing chemistry and let’s face it. It is just time as Kenny has earned the chance to hold the Gold. Jericho retains the IWGP intercontinental Championship at the G1 Special in Long Beach, California while Kazuchika Okada wins the IWGP United States Championship on the same show. At the G1 Climax, Tetsuya Naito wins the tournament by defeating Kazuchika Okada in the tournament final earning a shot at the IWGP World Championship at Wrestle kingdom 13. At the G1 Climax, Jericho attacks Kenny Omega once again and sets up a champion vs. champion program against Kenny Omega at New Japan Destruction in September where Omega retains his championship. At New Japan Power Struggle in November, Jericho retains the IWGP Intercontinental Championship against Sanada to give Sanada the rub. After the match, he is the one who is attacked by Kazuchika Okada. At Wrestle Kingdom 13, the co-main event matches are Kenny Omega defending the IWGP World Championship against Tetsuya Naito and Chris Jericho defending the IWGP Intercontinental Championship against Kazuchika Okada. There you have it. 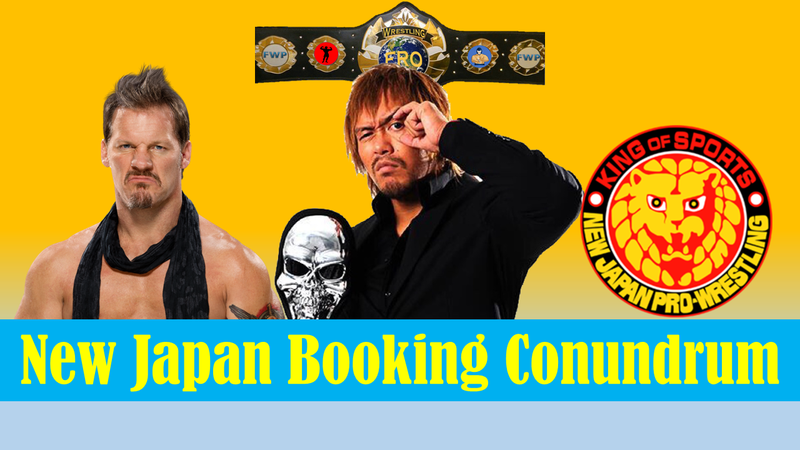 The way to book the next six to seven months of main event programs in New Japan that maximizes new matches, capitalizes on fan dream match opportunities, closes out long standing feuds, and provides new exciting stories for 2019. What do you think? Give us your comments!